Wow. Wow. Wow. I’m rarely lost for words but this year has been so incredible. 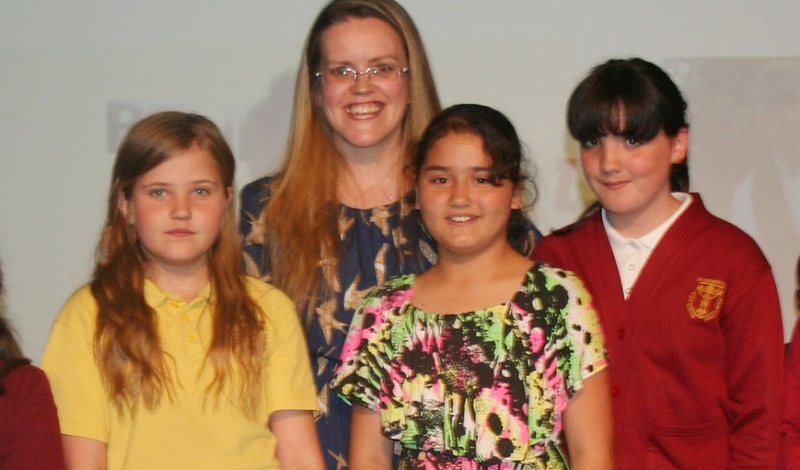 I’ve had the honour of visiting twenty schools and worked with over 5,000 children. Every school is special… but some are extra special! The teachers I have met have been so enthusiastic about reading and writing. 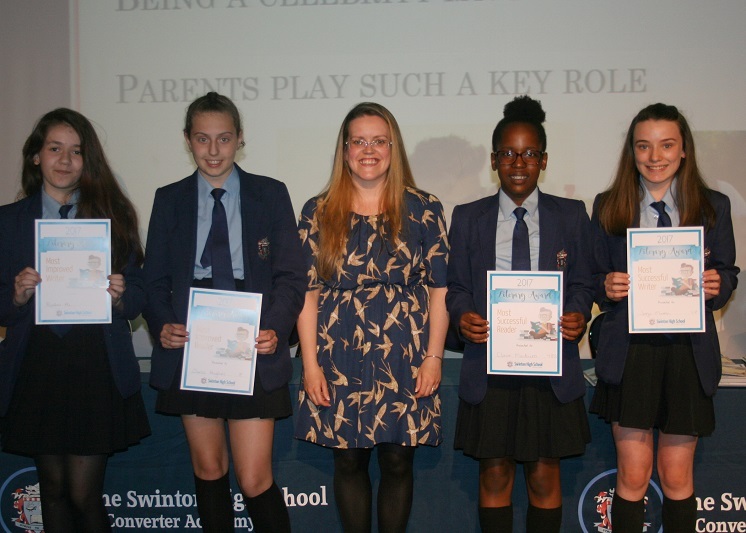 I’ve loved sharing my story, running writing workshops and giving pupils the confidence to believe they can be anything they want to be in the future. I’ve experienced the most fantastic singing, press conferences, Q&A sessions and I’ve been asked the most interesting questions. The writing that has been produced has been out-of-this-world. 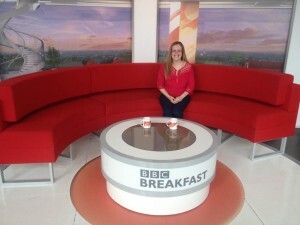 I was asked in November if I would become the patron of Hand on Heart, a charity that places defibrillators in schools. I was so shocked to hear the statistics concerning sudden cardiac arrests in young people – 12 young people die in the UK every week. I am promoting the charity and cause as much as I can, EVERY school should have a defibrillator. I’ve been busy writing my first football biography – Messi A-Z. It’s been so much fun finding about the Barcelona star. The book will be published in the Autumn, can’t wait for you to read it! 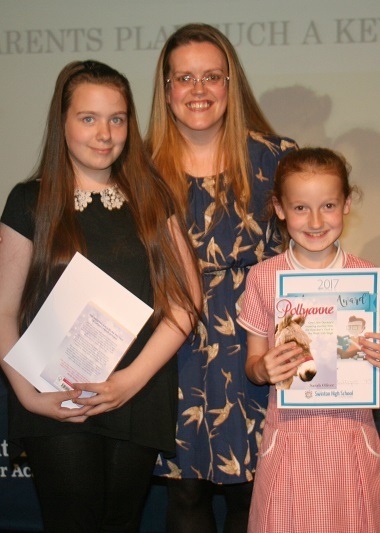 The highlight of the year for me was working on a very special writing project with the children of Adswood Primary School (Stockport), St Mary’s Catholic Primary School (Swindon) and Cambridge Road Primary School (Ellesmere Port). Together we wrote a picture book and it was illustrated by the fantastic Scott Wells. It was a once-in-a-lifetime opportunity for the children and we had a great time, acting out our book at the end of each day. The ideas generated were incredible and the finished story was even better than I could have ever imagined. It was published at the end of January and appeared in bookshops from the 1st February. It has been popular in the schools I’ve visited and we’ve raised £100 from book sales so far which we’ve donated to Hand on Heart to help fund a defibrillator. Holding a book signing in each of the three schools was great fun and the look of joy on the children’s faces was priceless. They loved signing their autographs and it will be something they will treasure forever. I will again be writing a picture book in the Autumn term that will be written with children from selected schools. The book will explore what the world would be like without books and will have reading superheroes save the day. I will spend one day at each school working with 1 – 2 classes. 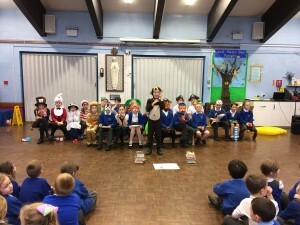 It’s an intensive day and at the end, the children can perform the book in a whole school assembly. Once the book is published in February, I will return for a joint book signing. 2018 has been a very busy year for me so far. I’ve been privileged to visit sixteen schools in Swinton, Stockport, Ellesmere Port, West Kirby, Birkenhead, Preston, Wigan, Widnes, Runcorn and Chorley. 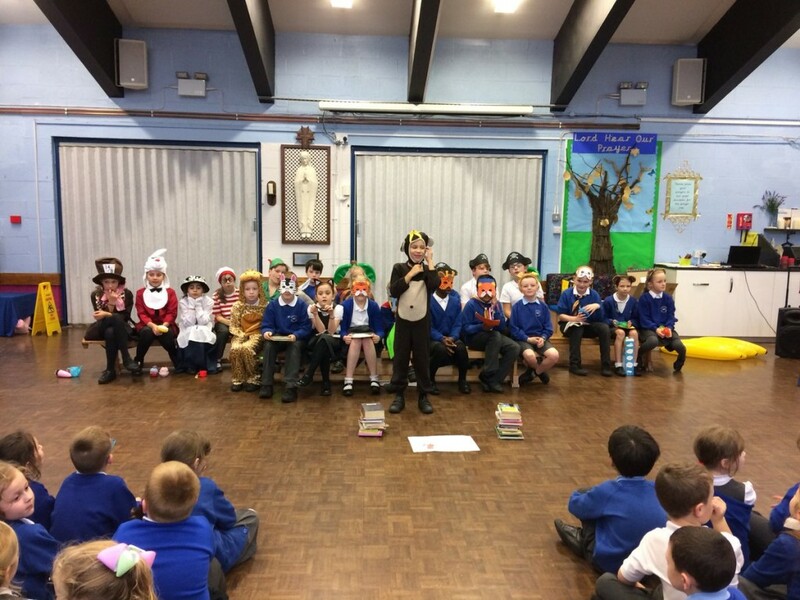 We’ve had fun dressing up and acting out my Pollyanne book with the help of some very talented actors and actresses hee-hawing and pretending to be opera singers! The children have been full of story ideas and have designed some wonderful front covers for their own amazing animal stories. 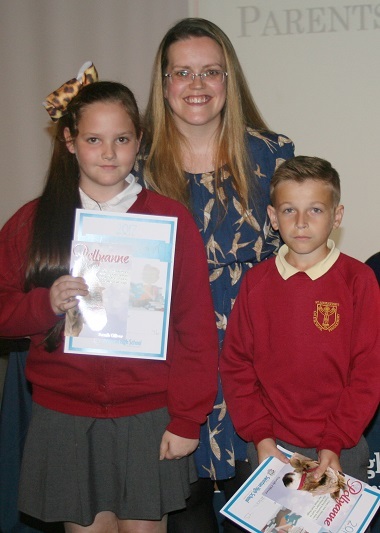 The Y5 and Y6 classes have been so enthusiastic, we’ve enjoyed writing books together as a class and holding press conferences. 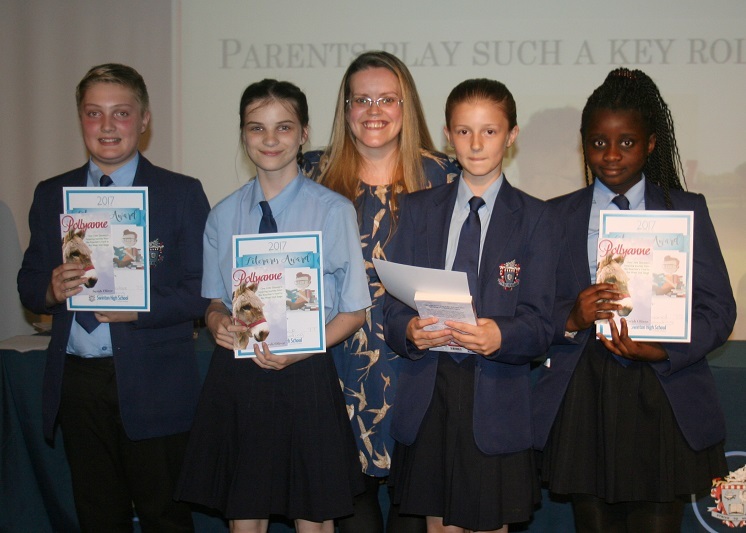 The standard of writing has been excellent with it being tough to pick the winners in each school. 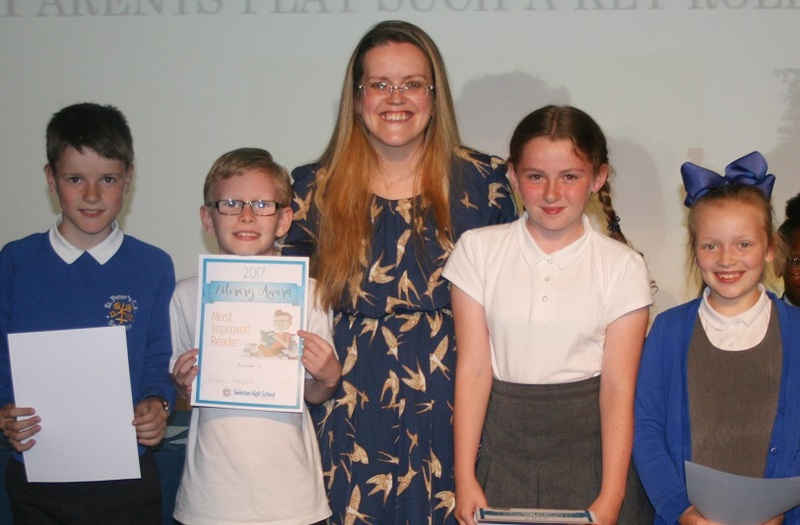 Every school I’ve visited has been enthusiastic about reading for pleasure and I’m so glad that I’ve been able to encourage the children to try and read something new – whether it’s non-fiction, newspapers, comics or joke books. 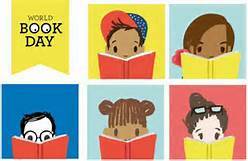 My first picture book ‘The Best World Book Week Ever’ has been so popular and I’m over the moon (shout to my co-authors, Y5 and Y6 children from Adswood, Cambridge Road and St Mary’s primary schools). Meeting my illustrator Scott in person after months of speaking through email was great, we’re already chatting about what our next book together will be. We did two joint author visits – one at his sons’ school and the other at the school he attended when he was five. It was nice to share our favourite parts of the story and our favourite illustrations. I’ve received some lovely feedback from teachers and children at the schools I’ve visited. I love doing author talks, they’re my favourite thing about being an author. It feels incredible to meet children who already have one or more of my books at home. I hope you’re looking forward to Christmas as much as I am! 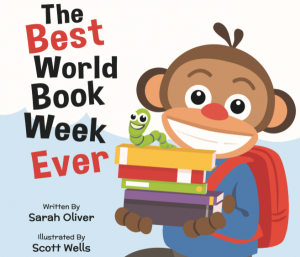 I’m so excited about ‘The Best World Book Week’ coming out in January, as are my co-authors, the children of St Mary’s, Adswood and Cambridge Road Primary Schools. We’ve had great fun writing together and acting out the story. It’s going to be lovely doing book signings together. Last week, I was invited to spend a morning at Mattel Play! in Liverpool with my girls. We had so much fun. 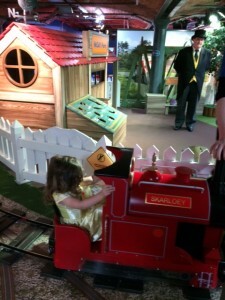 Lizzy loved the Thomas the Tank area the best, driving the train and pretending to be a farmer. 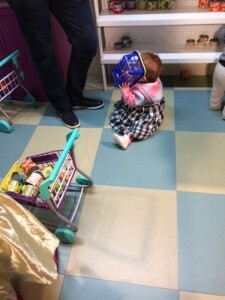 Lily isn’t walking yet but she still managed to get around the shop in the Fireman Sam area, filling her basket with goodies. 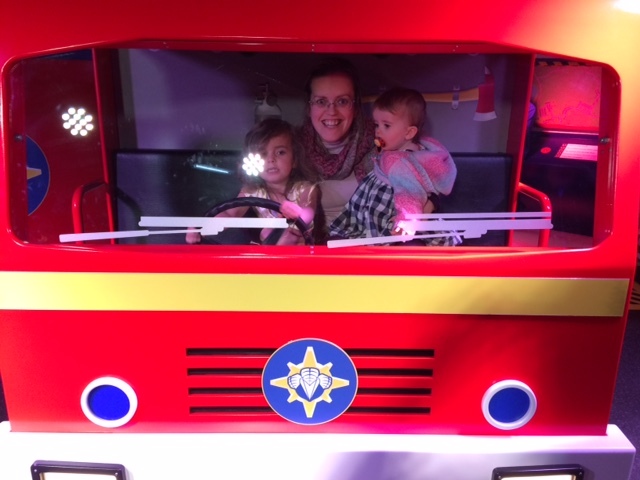 I was really pleased that I managed to get Lizzy to climb inside the fire engine as she normally shies away from fire engines at summer fairs. The Bob the Builder area was ideal for Lizzy because she loves building towers and knocking them down. Because it was mid-week it wasn’t busy either, so Lily and the other little ones could crawl away to their heart’s delight. We can’t wait to go again, Lizzy in particular loved every minute and it was so nice to have a day out with my girls in Liverpool. 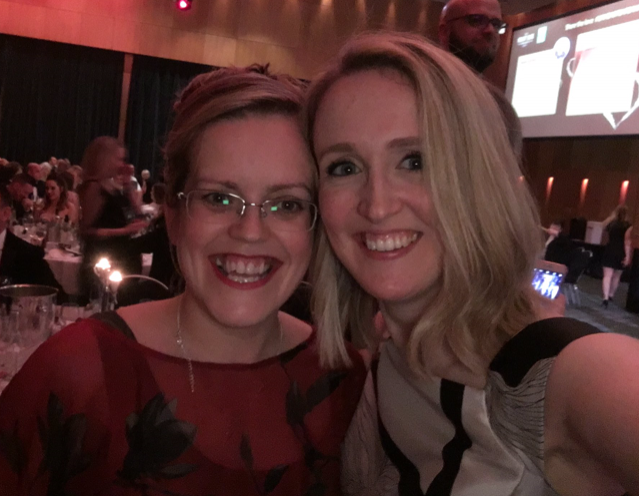 January has been a very busy month so I apologise for not blogging for a few weeks. I had the pleasure of going down to Cornwall to do an author talk at St Mary’s C of E Primary School in Penzance and I popped into Falmouth uni to catch up with my old tutors. It was lovely to see Susy, Tom and the rest of the Professional Writing gang and I even bumped into two people who studied on my course with me. We’d not seen each other for eight and a half years!!!! While I was there I was able to go and listen to an author talk given by Katherine Woodfine (and her agent). Katherine talked about how she went about getting her agent and first publishing deal for ‘The Mystery of the Clockwork Sparrow.’ I managed to get the best seat in the lecture room (on the first row, directly opposite Katherine). I found the whole talk so interesting, as a non-fiction writer it was fascinating to find out the journey a fiction author goes on. Katherine spent months writing her book, then once she had an agent they spent a year perfecting it and making a lot of changes, then she managed to get a publishing deal and it took another year of work before it was ready to be printed. I was full of admiration for Katherine because she worked so hard and never gave up. It made me realise how blessed I was to have an agent and publisher for Robert Pattinson A-Z just a week after sending a few emails. It came out about five months later and the whole process was pain-free. I now write on average three books a year and I get to see them in shops just a few months after writing them. Since coming home to Widnes I’ve been working with some talented children from St Michael’s school every Wednesday afternoon. We’re writing a book on inspirational people together and we’re having a blast. The children are so excited and are so bright, they have loads of great ideas. Some of the children are working on their first books at home in their spare time – they are so driven and have a thirst for knowledge. Wednesday afternoons are now the highlight of my week – I love every minute I spend at the school. At church I’m delighted to say that I have some new children in my Sunday School class so that’s really exciting. I’ve had to order some extra colouring books and puzzle books so we have enough to go round. We’ve been learning about Jonah and the children have loved acting out the story. I’ve been thinking about what my next books could be so please watch this space, all will be revealed soon! PS Have you seen the new Star Wars film? I loved it and I’m hopefully going to see it for the second time next week.